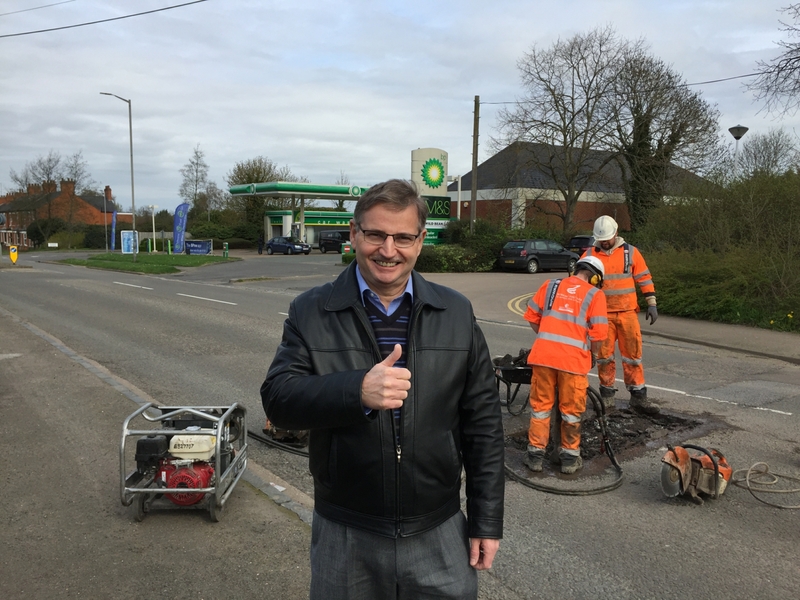 MK Lib Dem Leader, Cllr Douglas McCall, gives a thumbs up to the pothole policy success. 1. The Liberal Democrats have argued that the intervention level, the depth that potholes need to reach to be repaired, should be reduced. This has now been reduced from 50mm to 40mm. 2. 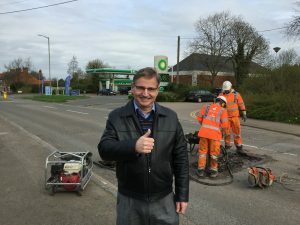 The Lib Dems have long argued against the Council fixing the one deep pothole and leaving the ones around it, only to need to come back another day. The Council policy has been changed to fix pothole clusters. 3. The Council will also now fix potholes wider than 300mm regardless of depth.